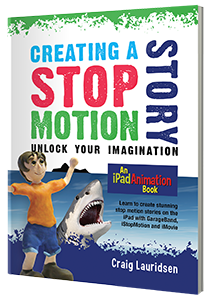 Master stop motion on the iPad with this comprehensive guide to creating stop motion animation 100% on the iPad. 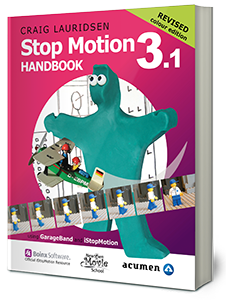 Over 275 pages of instruction, tips, examples and flow chart diagrams so you can master stop motion - fast. 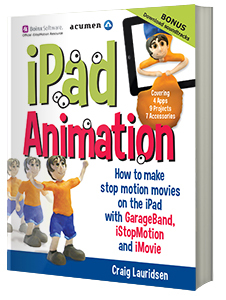 iPad Animation covers 4 apps, (GarageBand, iStopMotion, iMovie and djay), 9 stop motion projects and 15 accessories. An excellent digital media resource for teachers and animators. or for Kindle version, go to Amazon. Learn to create stunning stop motion stories on the iPad. A straightforward step-by-step guide to creating a story-driven stop motion movie. Follow our easy template to improvise original stories. Take command of GarageBand app and record high quality sound on your iPad. Create the animation pictures in iStopMotion app. Complete the movie by adding a title and credits in iMovie app. Use the iPad for 100% creativity. Ideal for the classroom and home. Suitable for all ages. 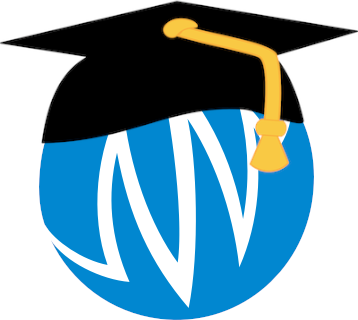 An excellent digital media resource for teachers and students. Secure your iPad in this stand specifically designed for stop motion work. It holds the iPad vertical and in a range of upright angles. Suitable for iPad, iPad Air and iPad mini. Available as a kitset, or a downloadable lasercutting file. Save yourself the cost and time of postage and make your own stand in your own choice of material. Purchase a digital lasercutting licence and you can make the iPad Animation stand at the tech shop in your school or local community tech group such as 100k Garages, Fab Lab, Tech Shop, Ponoko. The digital licence includes the artwork files (pdf format) for common material thicknesses (3mm, 4mm, 4.5mm and 0.125 inch) and assembly instructions. Your licence allows you to modify the design for other material thicknesses. The original or modified designs cannot be sold or given away. Sheet size required per stand - 33cm (13.3 inches) x 40cm (16 inches). Make an iPad Animation stand for your own use. 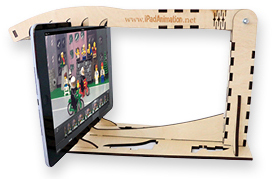 Make as many iPad Animation stands as you require for use by your organisation or school. Please contact us if you want to preview the design artwork to get a local cutting price before purchase. When the iPad Animation is created for assessment in a school, teachers can download our free Rubric for assessment of stop motion. Sound effects (also known as Foley sounds) intensify the mood of the movie. They make real things, such as a thunder clap, more dramatic. They can also add a new sensation, such as the spine chilling noise of steel on steel, when entering a dark room. Audioblocks (link includes referral coupon code to save up to 90%) has sound effects, music and loops. There is a low cost annual fee and then enjoy unlimited downloads from their 100,000+ tracks, including the free Album of the Month. We've made hundreds of stop motion movies using audio from Audioblocks. 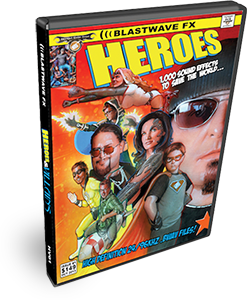 Blastwave FX has packs of themed sound effects including Heroes and Villains. If you're looking for one resource for action type sound effects, this could be it. 1000 sounds effects including weapons, impacts, crashes, explosions, vehicles, robots, super powers, ambiences and tons more! If you're still undecided, check out their free download of sample sounds. Pro Sound Effects specialise in sound effects. They offer individual sounds from $5, monthly plans and themed libraries from leading producers including Blastwave FX. Priority consideration for the Pro Sound Effects Freelancer Program - use priority code SMBOOK to save up to 60% on libraries and software. For other sources of music and sound effects, see the list on our Stop Motion Handbook page. 29 original soundtracks composed on the iPad, in GarageBand, by songwriter Theo Corfiatis. Created for the ebook iPad Animation they are available here for separate purchase by people wanting to license the use of additional copies of the soundtracks (such as in a classroom situation), or people wanting the music and not the book. All soundtracks are provided as fully editable, unlocked GarageBand files and MP3, so you can customise them for your own projects - add dialogue, add a sound effect, change an instrument - whatever you need. Experiment with the GarageBand files and learn how to make your own soundtracks, or use the ready-to-go MP3 versions for your media project. Buy 11+ copies - save 50%. Sorry, your browser doesn't support HTML5 audio! These soundtrack files are copyright and are supplied for your personal use. They cannot be used for commercial purposes. The soundtrack files cannot be redistributed in any form to anyone else unless they are part of your own creation. For additional permission to use this music for other purposes (including commercial usage), or to have original GarageBand music composed and supplied for your project, contact Theo Corfiatis at Blue Xrysalis. Story outlines are excellent for developing story outlines for your movie. Great for improvisation and working in groups. Just answer the questions and you'll create awesome original stories. Download a printable copy of the Story Outline which creates a 3-act story in as little as seven sentences. Action, Adventure, Alien, Crime, Desert, Disaster, Documentary, Drma, Epic, Fairy, Fntasy, Gangsta, Ghetto, Horrow, Monter, Mystery, Pirate, Romance, Science Fiction, Sports, Spy, Thriller, War, Wester and Zombie. Check out these stop motion movies that use the expanded Alien story outline: Rock. a moving story, The Trouble with Green and Alien Fishing. Send us an email and we'll let you know you when this are available, without obligation. If you can&apos;t find the type of soundtrack or sound effect you need for your project, send us an email and we&apos;ll see if we can add it in future. Or, if you need something quite specific, contact Theo Corfiatis at Blue Xrysalis to compose and supply original GarageBand music or template files for your project. Want to make stop motion on a Mac? This is the comprehensive guide to using iStopMotion, GarageBand and iMovie. For more information, go to stop-motion-handbook.com.